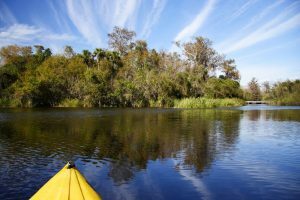 Before you start putting together a list of the 10 best places to kayak and canoe in Florida, there is one important factor you should have in mind: There are more than 10 great places for paddling in the Sunshine State. This will come as no surprise to Florida residents or to those who have traveled there for some kayak or canoe enjoyment. If you haven’t been to the state, you should go, if for no other reason than to experience the remarkable activities associated with water (and there’s a lot of it). You’ll find serene rivers with overhanging branches that block out most of the sunlight. Some trees in the northern part of the state are adorned with what is commonly called Spanish Moss. There are swamps galore, which shouldn’t scare you away. Just be careful and stay in your kayak or canoe. Opportunities for viewing wildlife abound. You may also want to try your paddling hand on the inland waterway, in areas on the Atlantic coast. The Indian River and the Banana River are generally quite calm. You can paddle your way to some of the small islands to get a different view of the scenery. If you want to take your canoe or kayak on the ocean, you should do some planning ahead of time. The wind and weather conditions will play a large part in this activity. But that’s a different story from the one you’ll read about from this point on. Here are some of the top locations for paddling a kayak or canoe, with 10 chosen to keep things manageable. 1. Sebastian River – The community of Sebastian, on Florida’s Atlantic coast, is name for St. Sebastian. He was a Christian martyr who was killed during the Roman persecution of the religion about 200 A.D. to 300 A.D. The river of the same name is in Indian River County and Brevard County in an area known as the Space Coast (Cape Kennedy is nearby). Paddling is considered easy to moderate by most accounts, with some tidal influence when you get closer to the Indian River. This river is part of the east coast inland waterway. You’ll be able to experience both salt-water vegetation and fresh-water vegetation, depending on your exact location. You will find the surface widens quite a bit when you get into the Indian River portion of the trip, so you’ll have to watch for motorboat traffic. Find your way to Dale Wimbrow Park, which not only has a launch area but also parking and restrooms. Rentals and guided trips are available. Wildlife opportunities include a lot of wading birds, turtles and fish, as well as alligator and sometimes manatee. 2. Imperial River – Not the wildest river you’ll kayak/canoe on, because you will see cabins and houses along the way. They are well-spaced, however, with plenty of oak, pine and cypress trees to provide great scenery. The eastern portion of this river is the most scenic on this short, creek-like river. 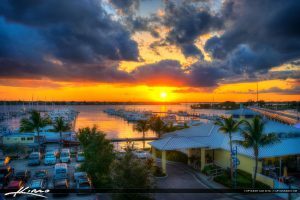 The trip is only nine miles long, but it winds through Bonita Springs to Estero Bay and the Gulf of Mexico. You’ll usually be under a canopy of pines and oaks, with cypress trees in abundance as well. With luck, you’ll see manatees in the brownish water that is actually clear enough for views of fish and turtles. This river is part of a 190-mile system of marked trails for kayak and canoe. Check out Barefoot Beach while you’re in the area. 3. 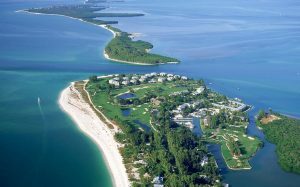 Sanibel Island – This gorgeous area is in the same general area of the Gulf Coast as Bonita Springs and the Imperial River. 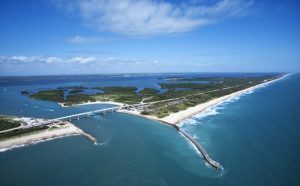 It’s one of the barrier islands on Florida’s west coast, heavy with mangrove forests and massive numbers of birds and other wildlife. Commodore Creek Kayak Trail begins in the national wildlife refuge. You may actually see manatees enjoying a meal of water plants and it’s possible to see dolphins in the bay. In addition to a great outdoor adventure, you’ll be able to get an enjoyable history less when you visit the Edison winter estate or the Ford winter estate. The buildings date to the early 20th century. A 2.5-mile kayak loop takes you by Tarpon Bay, with its mangrove tunnels. 4. 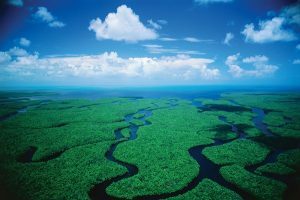 Everglades – No water adventure in Florida would be complete without a trip to the amazing and massive everglades. 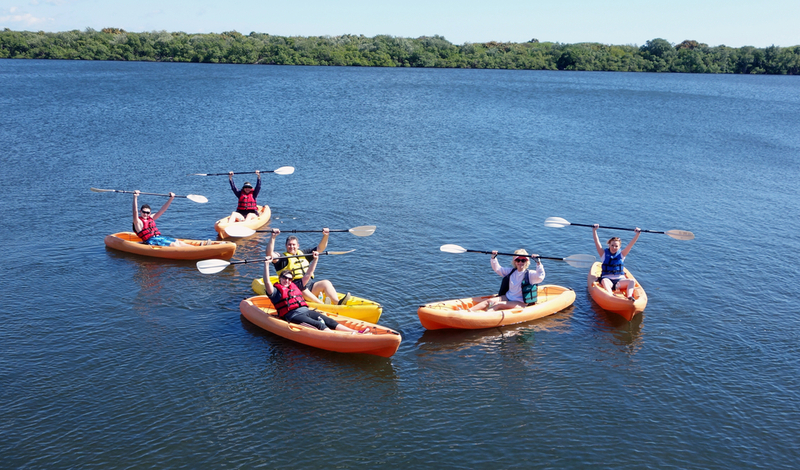 You’ll have kayak-rental options when you start at Everglades City, then head out into the world-famous swamp to see turtles, alligators and other wildlife. 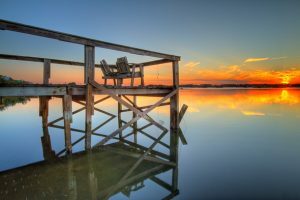 You can experience the Ten Thousand Islands National Wildlife Refuge and Wilderness Waterway (Collier County) or try your beginner’s skills at the five-mile Sandfly Island Loop. Veteran canoe/kayak enthusiasts travel the Wilderness Waterway (100 miles), a five-day trip with camping facilities along the way. 5. Coldwater Creek – This is one of the primary destinations for canoe aficionados. In fact, it’s known as the Canoe Capital of the state. Kayak rentals are offered at the Coldwater Recreation Area. You’ll glide along the creek fed by a spring and may want to relax for a spell on one of the sand bars. The water does move along at a brisk pace but is still comfortable for kayakers of any experience. Enjoy the thick forests of pine and hardwoods as you glide by. 6. 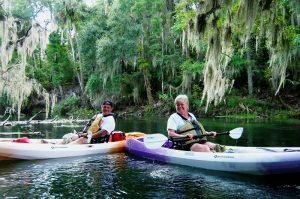 John’s River – This central Florida trip features some of the clearest water you’ll ever paddle on as you travel between Blue Springs and Deland. Manatees abound in this area, so take time to enjoy these fascinating animals. In fact, there’s a manatee refuge you’ll pass when you take the short trip. Rentals are offered at the park, along with swimming areas and picnic sites. 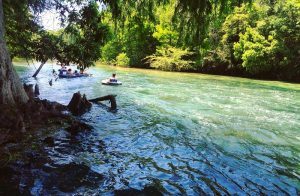 If you enjoy guided tours, for the educational benefits, you may want to arrange a guided journey connected with Blue Springs State Park. You can even “park” your kayak and take the guided walk beside the spring that gives this area its name. Cameras are strongly suggested because of the scenery and the wildlife-viewing opportunities. 7. 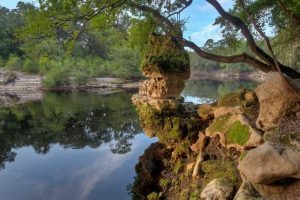 Suwannee River – Yes, you can start your journey from the Stephen Foster State Park launch point for this adventure in north-central Florida. Most visitors say the landscape is just what they expect for this part of the state, with its pine forests and abundant cypress trees. Several springs feed a river that also gives you the opportunity to picnic at the Suwannee River State Park (Live Oak). Be sure to explore the hiking trails as well. 8. Cedar Key – This is a fishing village near the Gulf of Mexico that could be described as “typical” for a fishing village, though it’s often called “quaint.” However, you choose to describe it, you’ll enjoy the kayak experience that includes paddling to Atsena Otie, part of the water trail used by Native Americans. You may want to time your outing so you can enjoy the marvelous sunset. Be on the lookout for osprey, blue herons and eagles, which nest in the mangrove forests protected by the government wildlife agencies. If you paddle during the summer, you may see Leatherback turtles as they return to the area. Some visitors see the dolphins playing in the blue waters of the gulf. 9. Lucie River – The North Fork of this river on the Atlantic coast of Florida has, fortunately, been designated an Aquatic Preserve. Unlike the channelized South Fork, this section has been protected from surrounding development, so far. You’ll experience oaks, palms and large maples overhanging the stream. Take care not to go past Prima Vista Boulevard because of the motorboat traffic. This kayak/canoe trip is in the coastal community of Stuart and gives you the opportunity to see what the waterways looked like before construction took over. 10. Turner River – For another Everglades experience, try Turner River. This is a mangroved-lined outing that gives you the option of heading to Chokoloskee Bay, Ten Thousand Islands and Everglades City. You’ll be gliding on freshwater marshes and through mangrove habitat, scenic trips that can take you to Chokoloskee Island and other beautiful spots. You can spend several hours in this area near the Tamiami Trail and Route 41. While you have just read about 10 excellent choices for a kayak/canoe adventure, you do have dozens of other great options. 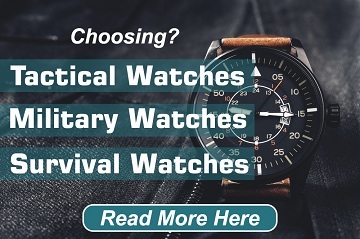 Your choice depends on which region of the Florida you’re in and what type of scenery you wish to enjoy. You can even paddle in the middle of Miami if you want to enjoy a metropolitan greenspace. Whether you decide to explore the exciting Everglades or enjoy the manatees in a coastal, spring-fed stream, you certainly won’t be disappointed when you choose the Sunshine State as your paddling destination. Saltwater Kayak Fishing: Prepare Well and Enjoy!